We’re about to be graced with the presence of a good Space Game! 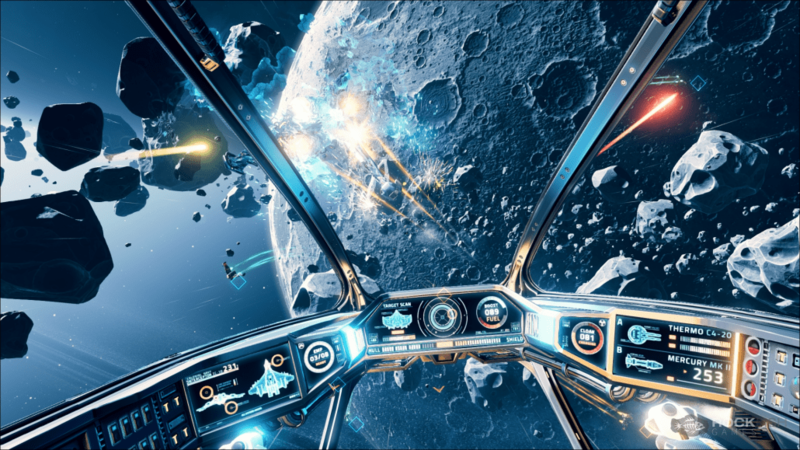 This week on Fixing Gaming, we’re going to take a look at the gem that is EVERSPACE. Long ago, in 2012 (wow, that’s starting to seem like a decent amount of time), we were graced by the little gem know as FTL: Faster Than Light. This game has become the mainstay of Trekkies and Strategists everywhere. It was a brilliant roguelike that engaged the player and made each run feel unique. Sometimes, however, it just made me want to beam down from my observation platform and take command of the guns and management myself. The times where I’d be perfectly adequate and my shots would miss were infuriating. It was a tactical strategy game, however, and one could only hope for the same game in a more action packed scenario. 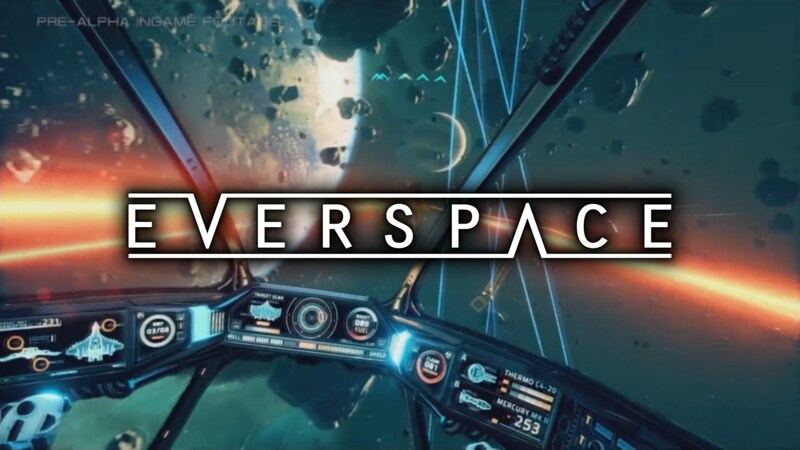 WHAT DOES EVERSPACE DO RIGHT? EVERSPACE gives us an amazing balance of choice throughout the game. You can fly about in one area, harvesting all of the materials possible, and then jetting off into the next sector, or you can play the stealthy rogue, utilizing stealth techs to sneak past enemy fighters. Becoming a small trader is perfectly legitimate, as are attacking Terran ships already under fire from alien drones. All of these options can be explored. Speaking of options, you have plenty of ship upgrades to choose from when you inevitably explode after testing the strength of a Black Hole. Every time you die, you get to spend the credits you’ve earned on upgrades to you ship, which range from damage increases to better fuel consumption and shielding improvements. These shield improvements really come in handy, too, once you start fighting Alien Ships equipped with plasma weaponry. There are several types of weapons, but it all boils down to two: ballistic and energy. Both of these have their uses, ballistic for health and energy for shields, and they both feel important. If I fully kit myself out in flashy laser weapons but forget to include a machine gun to my loadout, My ship’s going to have a hard time taking out the more tank-y ships. It requires a level of planning on the same side of the curve as FTL. I don’t generally go into graphics, because graphics aren’t terribly important to gameplay, but I have to make note of the inherent beauty of this setting. Sure, it’s not really “realistic”, unless there are giant space rods floating around everywhere, but it’s got a feel of those spacetime games from the past with fully realized environments. I feel like an insignificant speck surrounded by a gaping universe. Black holes bend light around them, and getting sucked into one feels terrifying. There were times when I’ve strayed just close enough, and boosted for several seconds, seemingly breaking free of the pull, only to realize I was dead from the second I hit the event horizon. But, with all this praise, I need to go into the few (but very important) flaws. I definitely feel as though the difficulty curve is a little too high. The enemies can feel deadly due to their accuracy, although it’s not so bad if you play your cards right. The last I checked, they were still fine-tuning the enemy difficulty, so once you read this it may be worked out. Sometimes, when you hit asteroids to receive materials, the material drops will phase, just out of reach, into the rock, leaving you with an annoying item stuck on the HUD for you to collect. I’d also say that the rate of fuel deposits seem pretty low, so I’ve had times where I’m fully geared but I just run out of fuel. Most of the problems are just because of the nature of the genre for roguelikes, and that’s something that must be discussed another time. 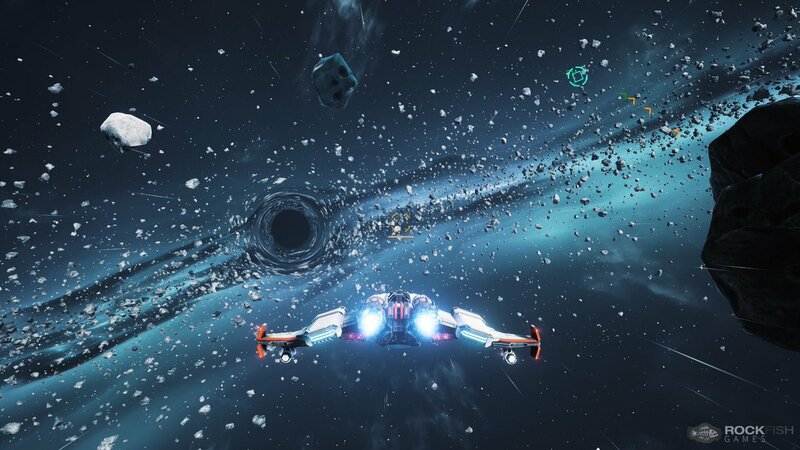 EVERSPACE is what happens when you take dedicated developers, a bit of money from Kickstarter, and a solid core idea, and put them to work making an action-roguelike that rivals Rogue Legacy and FTL: Faster Than Light. If you’re a fan of games like Elite: Dangerous but want more action, or you simply long for the days of incredible space battles, look no further than right here!